Already own in Gayfer Court? Thinking of selling? Click here and read about current search trends & our web network. Gayfer Court condominiums were built in 1972 is walking distance to shopping, restaurants and entertainment venues that lie in downtown Fairhope, AL. The complex is low density with only 20 total individual condo units. 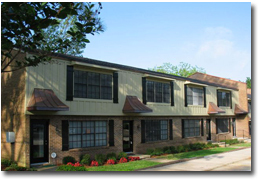 Gayfer Court is comprised completely of 2 bedroom units. The condos are all approximately 1,340 square feet. If you would like to schedule a private viewing or have questions concerning Gayfer Court condominiums or any other property in the area, please email info@condoinvestment.com or call (251) Area-Pro (251-273-2776) for immediate assistance. Listing information last updated on April 25th, 2019 at 3:00am CDT.